Register Log In Moparts Forums Unlawfl's Race & Engine Tech What went wrong? Jeez, what a stupid mistake! I've seen combos that don't run like they should and people always blame the cam. I always ask if they degreed it and 9 times out of 10 they say, "I made sure and lined up the dots!". For you guys that struggle with degreeing in cams buy yourself this tool. It sure make the job a lot easier. Anyone know of one that is around the Detriot area? Called Jakes this morning and they were 3-4 weeks out. You an try Full Throttle racing In Fraser,MI they have a chassis dyno. I got him coming in Thursday. Just got home from the dyno at Jakes. First I have to say Gary at Jakes is awesome fortaking care of me. So now the numbers. For a Stroker motor that has only parts from out of the box I think it’s pretty good adding in the power train lose. 414 hp and 429 torque. Last edited by Shatar4; 09/13/18 07:28 PM. Looks like there is more power to be had with further carb tuning. Did you get a chance to do any tuning when you had the car on the rollers? Was that with an air cleaner on it? I cannot remember if this is a carb or efi? Wondering if valve train is getting unstable at 5k and above as well. Certainly seems really lean to me. Last edited by RustyM; 09/14/18 12:01 AM. I don't know the radius used for the rounded follower used for roller cams? If I want to measure duration or opening and closing events, I use the actual lifter the engine will be using as the roller cam lifters may have different diameter rollers. Well after i took the motor back out and gave it to the engine builder, he found that he acidently put the timing off by one tooth. I took the heads off and the valves were kissing the pistons leaving a half moon mark on them. So, two things that I would consider pretty much “mandatory” for a build like this obviously didn’t get done. Cam didn’t get degreed, and valve to piston clearance not verified. I dynoed a very mild 505 last fall that was similar, but milder. 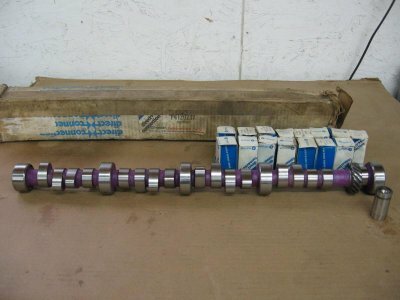 Stage 1 rpm heads, .483 lift hyd cam, original Torker, 850vs carb, 1-7/8” headers. I told him it would make about 600ft/lbs and 500hp. With an RPM intake and the OP’s cam I would have been looking for another 40-50hp. Back in about 1990, on a 500hp 440 I tested an original Torker against a Torker II. The Torker II had noticeably better top end power than the original Torker, which resulted in a peak gain of about 15hp, but at the top of the run it was more like a 30hp difference. The original Torker had better bottom end and made about 15ft/lbs more peak tq. The air cleaner was not on it. It is a 850 carb. So do you think if I change the intake to a Edelbrock RPM I would gain some? Sure...... but mostly in the lower part of the curve is what I’d expect. Peak hp would likely be within 10. Way more work involved, but I’d expect better results out of some head porting instead. 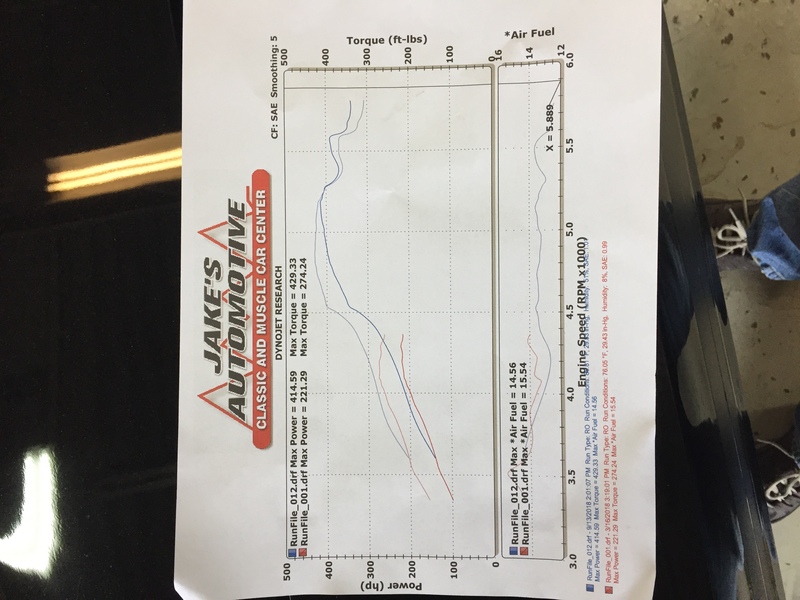 If the dyno operator has confidence in the AFR values posted in that dyno chart, you should be able to pick up some decent power jetting up on the carb. It looks pretty lean on those runs. The timing might also be more optimized once the AFR was richer. Last edited by davenc; 09/14/18 11:34 PM. The jets at 80 primary 88 secondary.